In all of the contemporary economics textbooks that have been written there is typically at least one chapter that addresses 'market failure.' Markets Don't Fail! is a response to what author Brian Simpson sees as a fundamental error in the thinking of some economists. 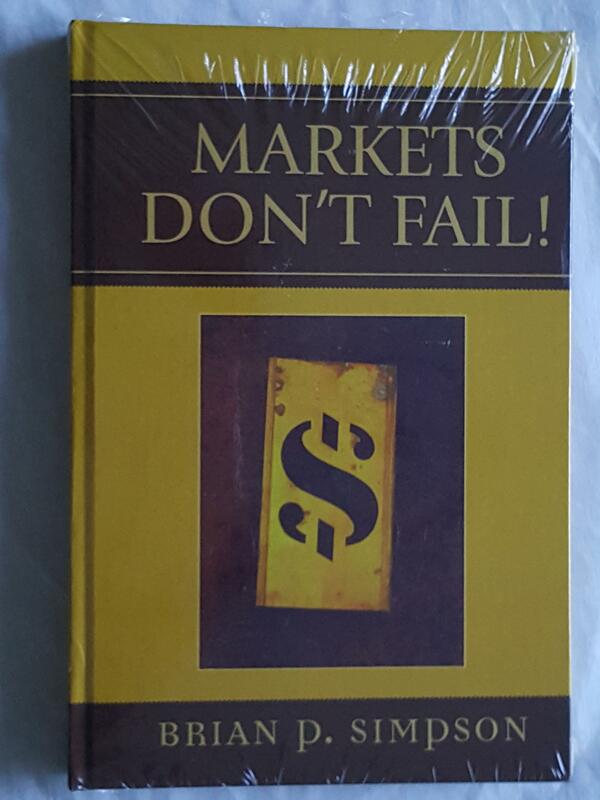 The chapter titles of this book are crafted against the premises of 'market failure' arguments, and a significant portion of this book focuses on exposing the invalid premises upon which the claims of market failure are based and providing a proper basis upon which to judge the free market. The material in this book provides a strong antidote to the arguments typically presented in contemporary economics textbooks. Through example and argument, Brian Simpson shows that the claims against the free market are not true. In fact, he demonstrates how free markets succeed, how they raise the standard of living of all individuals who live within them, and how free markets allow human life to flourish. However, the book goes much deeper than economics by providing a moral and epistemological defense of the free market. Markets Don't Fail! gets to the fundamental, philosophical reasons why the claims of market failure are false and why markets actually succeed. Through an integration of economics and philosophy Simpson is able to provide a comprehensive, rigorous, and logically consistent defense of the free market. The specific topics covered in the book include monopoly, antitrust laws and predatory pricing, 'externalities, ' the regulation of safety and quality, environmentalism, economic inequality, 'public goods, ' and asymmetric information. This book is an invaluable tool for anyone who wants to gain a sound understanding of the free market.